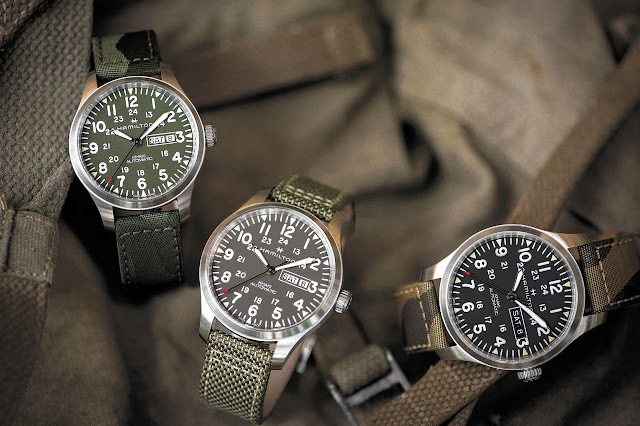 Hamilton expanded its military-inspired collection with the new Khaki Field Day Date Camouflage models, a trio of robust and reliable watches characterized by colours that are typically used for military camouflage to protect personnel and equipment from observation by enemy forces. Matched to either a green (ref. H70535061), black (ref. H70535031) or brown (ref. 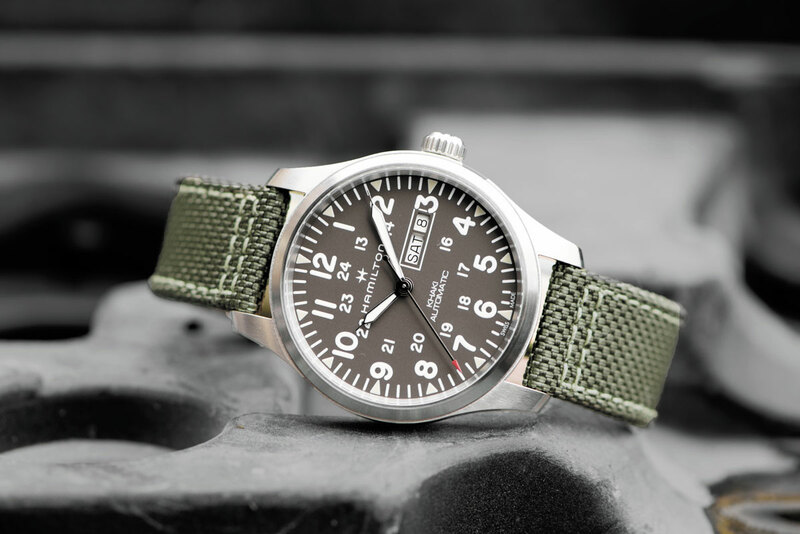 H70535081) dial, the 42 mm stainless steel cases have a sandblasted finish to eliminate reflections that might be detrimental to the watch’s legibility. Protected by sapphire crystals, the dials offer excellent legibility thanks to large printed white Arabic numeral hour markers and the additional printed scale inside the main chapter ring. The outer triangle indices are coated with luminescent material, just like the large sword-shapes hours and minutes hands. 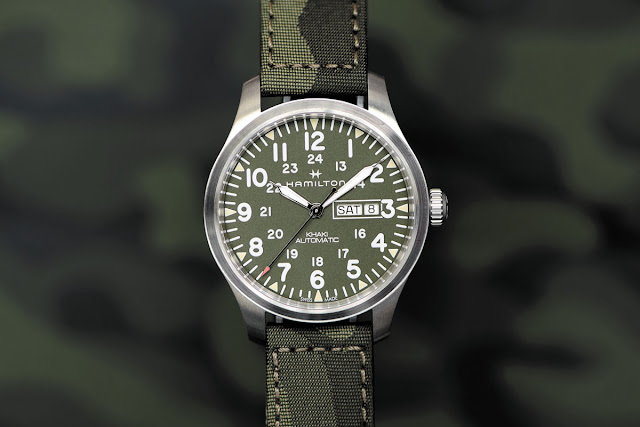 Day and date at 3 o’clock and the red arrow tipped central seconds hand complete the dial. 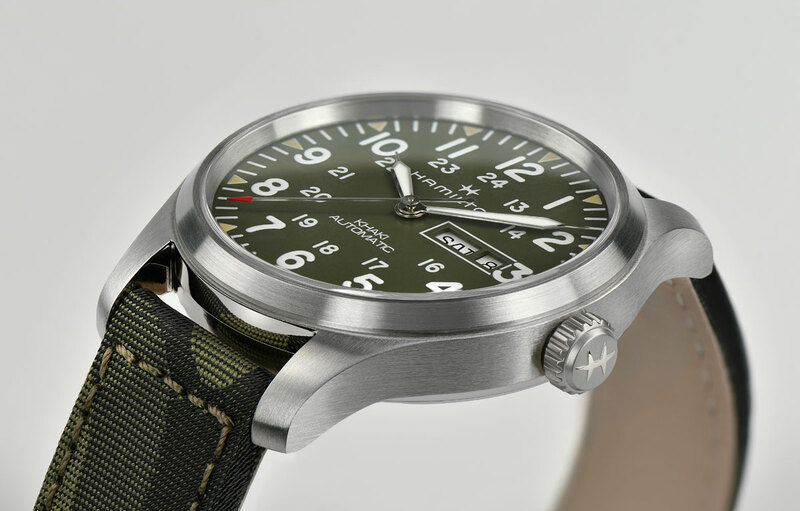 The watches are matched to camo or olive green textile straps and powered by the 4 Hz (28,800 vph) H-30 movement which offers up to 80 hours of power reserve, enough to last three days on the wrist without any additional winding. Nice price but I think it is not a versatile watch. 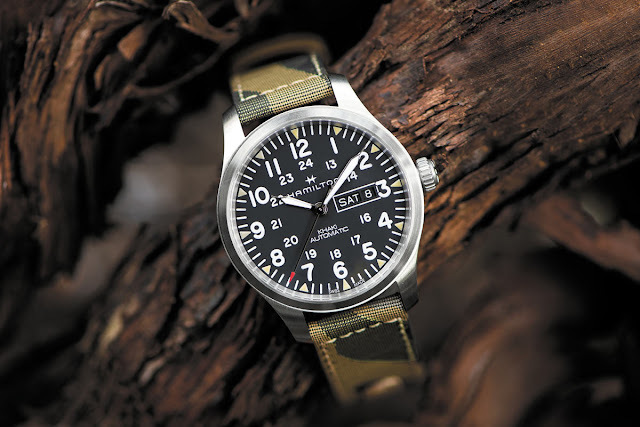 I think I would end up using it only for some hillwalking. 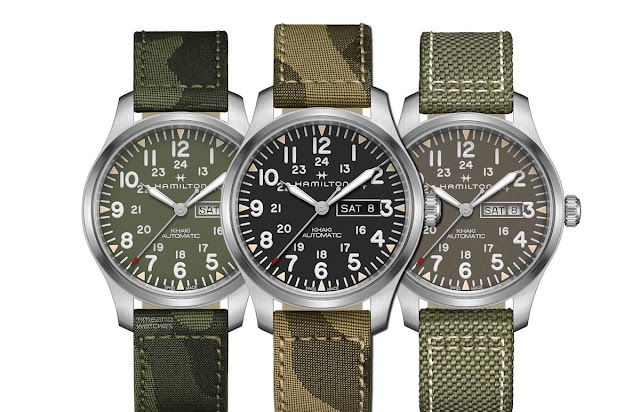 Hamilton expanded its military-inspired collection with the new Khaki Field Day Date Camouflage models, a trio of robust watches characterized by colours that are used for military camouflage. Price. Green (ref. H70535061), brown (ref. H70535081), and black (ref. H70535031).